I am interested in 156 Orchard Ln, ST AUGUSTINE, FL 32095. This Harper floorplan is available for you to call home and is built on a magnificent preserve homesite. All 2,685 A/C sq. 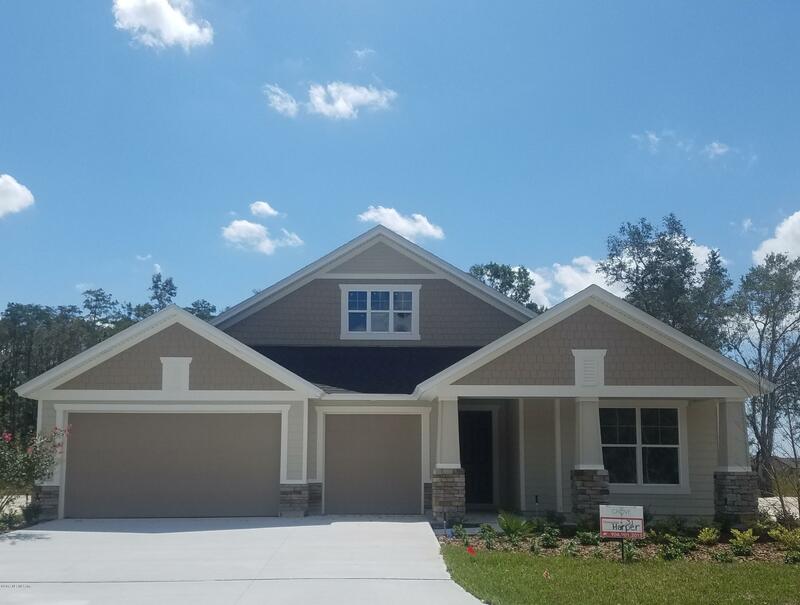 ft. of this brand new home is filled with beautiful features and finishes including Gourmet Kitchen with gas cooktop, double oven, quartz countertops, 42'' white cabinets and soft close drawers, light 20 x 20 tile throughout common areas and laundry room complete with sink and 36'' upper cabinets. All being constructed under the newest Florida Building Codes to keep your family secure. The Grove at Bannon Lakes boasts its local 6 acre island Amenity Center which includes a 4,000 sq. ft. clubhouse with Pool, Indoor Pavilion Space, and separate fitness center and less than one mile east of I 95 at exit 323.